In a city at war with itself, where terror and corruption ruled the streets and justice looked away, the people would cry for a hero. And a clown would answer. 'Clown' is a text adventure in a classic film noir style. 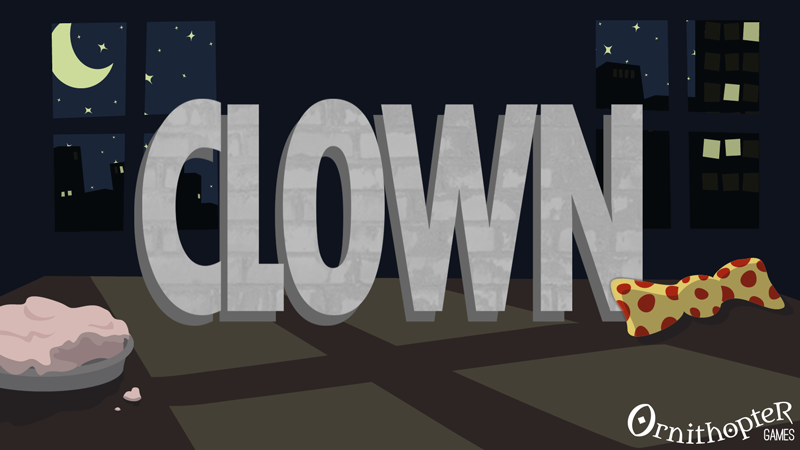 As the only clown private detective Tad Cavallo, explore a bitterly divided Coalport City to help the people of West Jester, the clown suburb you call home. The fate of the city lies with you. Very well done! 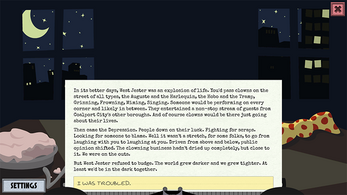 The voice acting in the beginning was good - perfect compliment to the superb writing. Looking forward to whatever parts come next!